My first two children are just fourteen months apart – the eldest probably has no memory of a time when his brother wasn’t there. The gap between my second and third children is almost two years and I recall someone saying to my son “Aren’t you lucky to have a new baby? !” and his gruff reply – “NO!” But really, the news of a new sibling is all in the pitch, right? 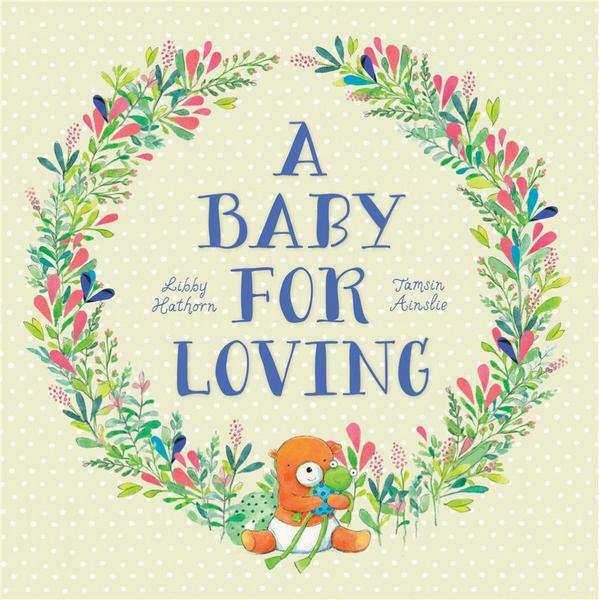 From award-winning Australian poet Libby Hathorn comes A Baby For Loving, and it is the most delightful pitch for a new baby. Hathorn’s gentle poem is about a family of bears and the joy that a baby bear brings. We follow the bears through a day, from baby waking to the family playing together outside, sharing a picnic and finally ending the day with a cuddle. Tamsin Ainslie’s luminous ink paintings encapsulate the gentle pleasures of an afternoon with the family in the sun, from munching on triangles of watermelon to splashing in the paddling pool. 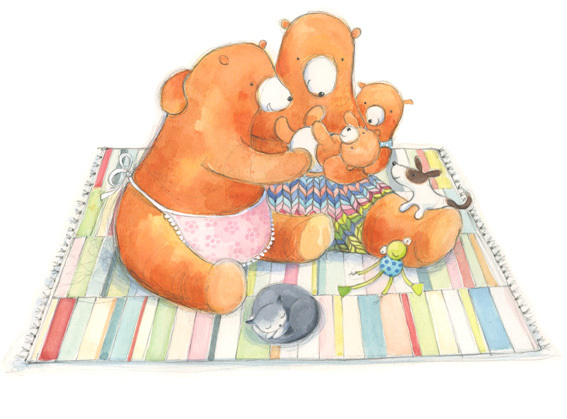 The book highlights the ordinary routines of family life, with Ainslie’s illustrations showing simple things such as the bears hanging out washing, tidying up and eating a meal. Importantly for its potential toddler audience, the eldest bear cub is cast with the parent bears, helping them to entertain, care for and love the baby bear. A Baby For Loving is suitable for children aged two years and over. Find it at all good book stores or online at Fishpond.